Luton hit the front in Sky Bet League Two for the first time this season with a superb 4-1 victory at Exeter on Tuesday and they can start to stretch the chasing pack by winning at Crawley – the team with the worst home record in the division. There is a congested feel to the top of the division with just four points covering the top five teams but Luton look the side most likely to open up a sizeable lead. They are the top scorers in the EFL with 34 goals and their victory at Exeter sent out a strong message to promotion rivals. It was a strange game in many ways because Exeter were superb in the first half and could have been out of sight by half-time. 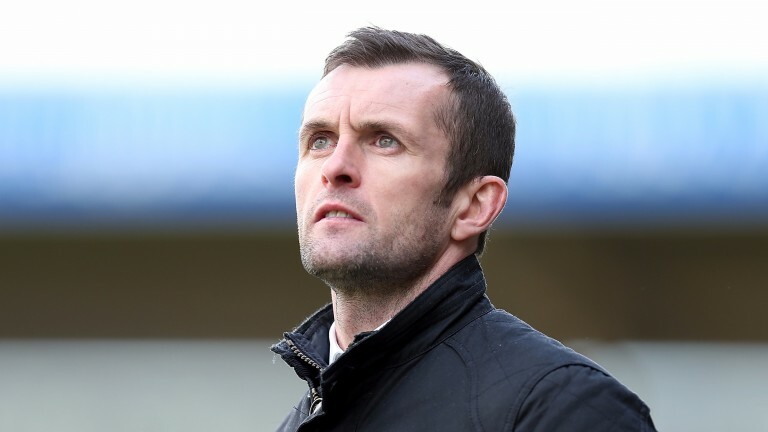 But Luton manager Nathan Jones, one of the most highly regarded coaches in the lower leagues, changed the shape of his side at the break by going to a back three and the response was incredible with the Hatters scoring three times in a devastating ten-minute spell. In the end Luton ran out deserved winners after peppering the Exeter goal with 23 shots – 11 of them on target. The Hatters have racked up 16 goals in their last four games and the goals should continue to flow for one of the most lethal attacks in the division. Luton's front two of James Collins and Danny Hylton have eight league goals each and summer signing Luke Berry burst onto the scene with a hat-trick in the 7-1 demolition of Stevenage last Saturday. Crawley's defence are going to have their hands full and they could be under-strength at the back after centre-back Mark Connolly was substituted with an injury during Tuesday's 2-0 loss at home to Chesterfield. The midweek loss was Crawley's sixth in seven home league games this season and further disappointment is in store against the leaders, who are likely to be backed by a large travelling contingent. Hull have not won in their last 24 away league games – a run stretching back to a 2-0 success at Swansea in August 2016 – and their travel sickness could continue with a defeat Barnsley at Oakwell. There have been moments this season when Hull have shown top-flight quality but they have all been at the KCOM Stadium. Wins against Burton (4-1), Bolton (4-0) and Birmingham (6-1) gave the supporters hope but none of them were backed up. Hull still look like a team getting used to life in the Sky Bet Championship and they make the trip to Barnsley without key midfielder David Meyler, who was sent off for two bookings in last Saturday's 1-1 draw at Norwich. Barnsley are a point worse off than City having played one game fewer but are growing in belief after a three-match unbeaten run. They have played at home to the other two relegated sides – winning 3-0 against Sunderland and drawing 2-2 against Middlesbrough – and look value to topple the Tigers. Promoted Plymouth have had a tough time adjusting to life in Sky Bet League One but are showing signs of improvement and can avoid defeat at 17th-placed AFC Wimbledon, one of the teams they will be looking to catch in the relegation scrap. Wimbledon are feeling much happier after back-to-back wins away to Northampton (1-0) and at home to Rotherham (3-1) which have lifted them out of the drop zone. They have been short of firepower but Lyle Taylor – their joint-top league scorer last season – was back among the goals with a hat-trick against the Millers. Taylor will be feeling more confident but there is a lot of pressure on his shoulders while fellow striker Kwesi Appiah remains sidelined. Wimbledon are the second lowest scorers in the division and can expect stiff resistance from Plymouth, who have picked up successive 1-1 draws from tough matches at home to Shrewsbury and away to Blackburn. Argyle's outstanding player Graham Carey was on target in both games and his class can help the Devonians extend their undefeated run to three games. League Two playoff chasers Grimsby are a well-organised, no-frills side but may not have to be anything spectacular to pick up three points against Morecambe on the Fylde coast. The Mariners have won four of their seven away league games this season and look solid favourites to despatch the Shrimps, who have lost their last two home matches without scoring.